This house was professionally designed and custom built. There were no expenses spared in the 2016, 110% gut and remodel of this beautiful modern farm house! New HVAC, electrical, plumbing etc. This spacious and open floor plan accommodates large gathering effortlessly. Every aspect of the house looks like it came straight out of a magazine. 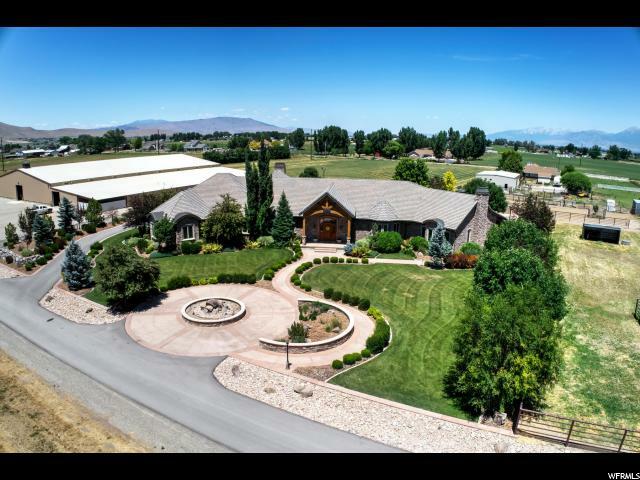 Set on over 5 acres, this home is every horse lover's dream. 120x220 arena, 65ft round pen, shop, shed, pastures, alfalfa fields and large hay barn.